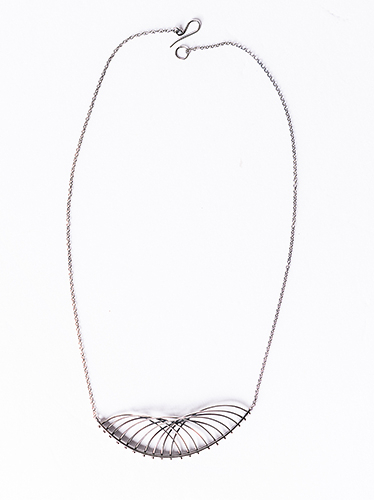 Arc large pendant necklace in oxidized silver. Bent wire design with delicate ball texture. *Approx 18" chain. Pendant 1" x 3" W.